the most historic tourist destinations around India. Its diversity has been a core in terms of representing its norms beside that its prosperity and legendary marks has enriched this city with all the testimonies which is required to make it one of the elementary places of India. Fort Kochi and its parallels require no introduction because its historic dominance over the tropical helms of Kochi says it all. The structures of distinct colonial rulers and their contribution towards making Kochi one of the trading tycoon of their days is still reflected by the streets which are named after the genus of empirical people. The Chinese fishing nest which was introduced by the Chinese traders during the rule of Kublai Khan still indulges the mind of the traveler. An exclusive and colossal net in fact represents the economic folio of the local people. Traveler must understand that the fishing net of Kochi reflects the trade relation of the Chinese people with locals and still today it is preserved to relate the historical importance of the past time. The silent waves of fort Kochi beach still portrays an eternal marks of European people as they were the first to establish marine culture within and above the surface of the beach. An inspiring flow of Fort Kochi beach seems like it has blessed the place with all the essentials because its central location compliments the livelihood of the local people and around the shores again the reflections of colonial manifesto rewards the life with tranquility and sophistication. St. Francis Church where the corpse of Portuguese sailor Vasco Da Gama was buried before it was re-moved to Lisbon is the oldest church of Kerala. Built in true European style the stands of the church still enriches and endears the surroundings with its celestial vibes and being the oldest amongst all it requires special attention to understand its existence. 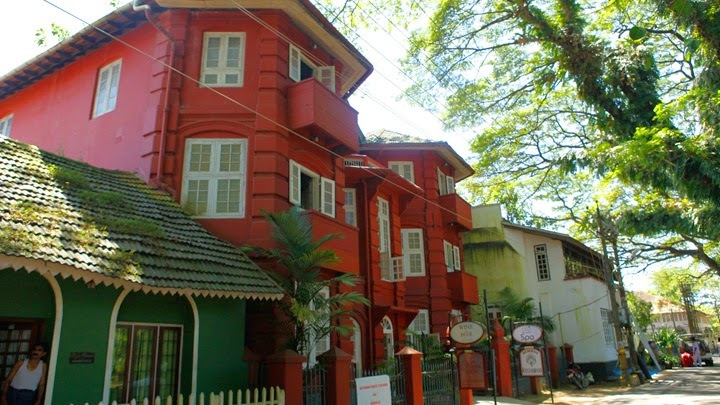 Vasco Da Gama during his regular visit was assigned with his resident name Vasco House where he lived his considerable amount of time is amongst the treasure house of Kochi. Although the ancient marks of the house has been converted to home stay where travelers from across the world comes in to revere the glory of legend but one must understand that such transformation has not shrink its relevance and importance. For travelers and historians the church road might come out as a surprise because the historic norms that rules the lane still spreads an essence of Europeans. The cool breeze that surrounds the entire ambience would surely refresh your mind beside that the landscape views of the surroundings from where traveler can claim to revere the site of brilliance would make your day. For adventure lovers Cherai beach could prove to be the best place where they would have an opportunity not just to revive the beach life but the sway of palms that remark the brilliance nature would astute your moment with accolade and assorts. Before planning your trip here traveler must understand that the weather condition here are hot and humid so one must walk here during the months of October to March to enjoy the beauty of climatic condition.